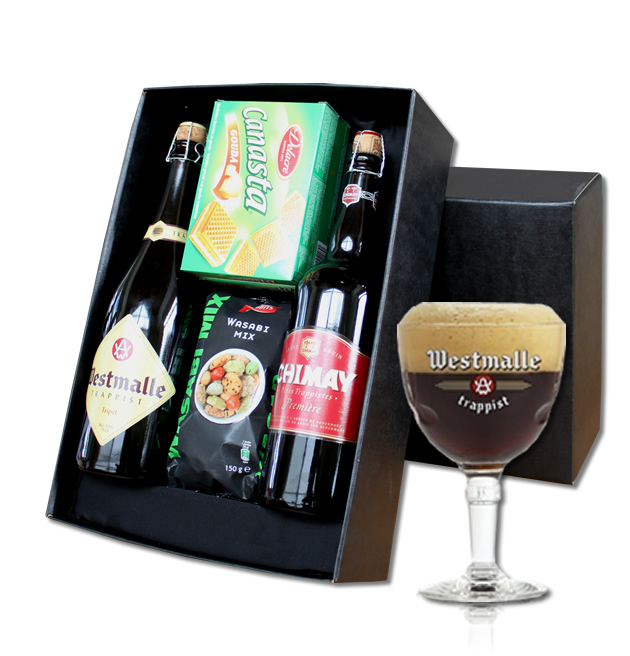 A luxury gift box with 2 bottles (75cl) of Belgian's most famous abbey-beers, Westmalle and Chimay, accompagnied by snacks. The box is wrapped in stylish gift paper and is decorated with a fitting bow for the occasion. A wishcard with your own personal message makes the gift complete. We deliver this gift in the Benelux countries, France, United Kingdom, Germany, Austria, Denmark, Poland, Italy, Slovakia, Czech Republic and Hungary.